This article outlines how to perform a bulk update from a CRM Report. In order to perform bulk update, you must have the Bulk Update permission set within the User Admin section of the My Prospect 365 Portal. If you do not have this permission then please contact the Customer Services Team or the Key CRM user within your business. The Bulk Update tool allows you to quickly update large volumes of your CRM records across the hierarchy. 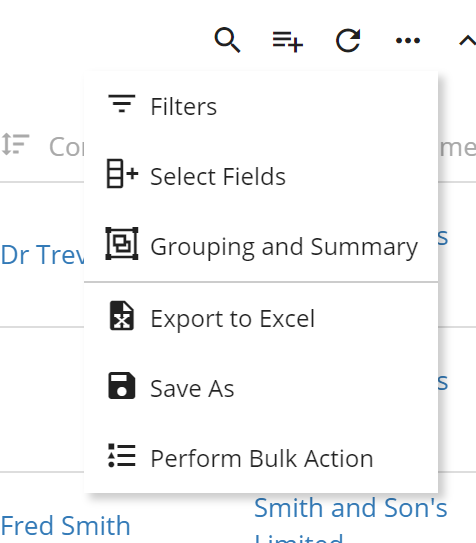 The Bulk Update tool can be accessed via the three dots icon for further options & clicking on the Perform Bulk Action option from a Report. 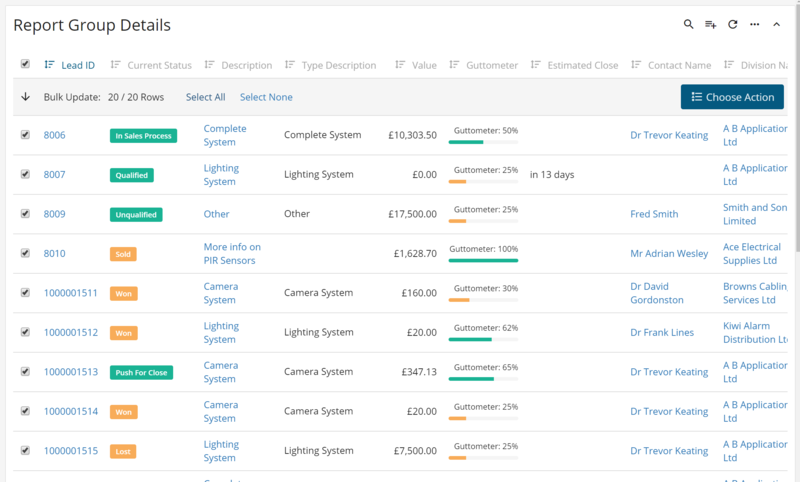 By clicking on the Perform Bulk Action option you can then select the records you wish to update from the Report, whether that be all or a select few. Once happy with your selection you can click 'Choose Action'. 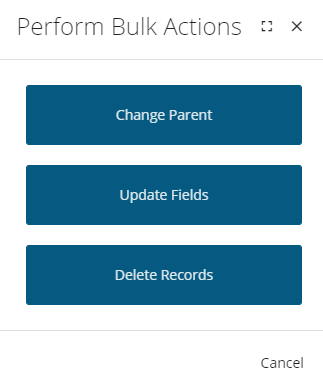 Change Parent- Change the parent record of the records selected. For example moving all of the Lead records under a different contact. Update Fields- Change a particular field on all of the records selected. For example update all of the sales person on the Leads to a new starter. Delete Records- This will delete all records selected. For more information about performing bulk actions please see our video below.